This incredible custom designed home is one of a kind! Every detail has been attended to with exquisite care. Gorgeous, luxurious but very welcoming too! 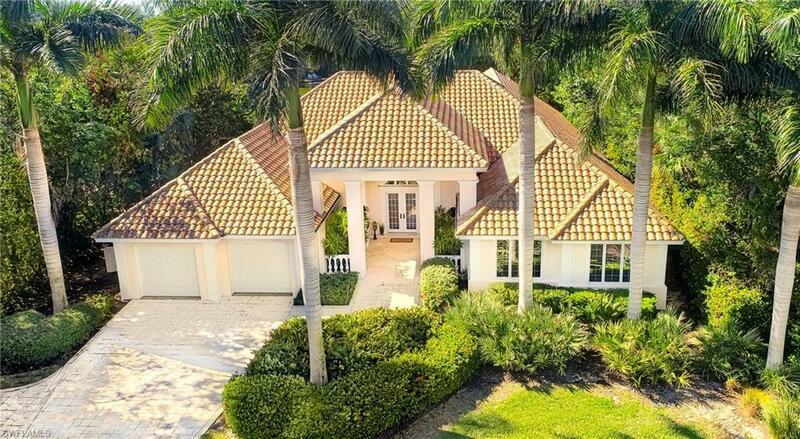 Flooded with natural light, this reverse floor plan features the main living space on the top level, with mesmerizing views of the 3rd fairway & the beautiful preserve & bay out front. Clive christian cabinetry, brazilian granite, a teak island & a custom bar highlight the spacious kitchen/dining space. The ceiling treatment is breathtaking. Impact glass windows & doors. Anatolian travertine throughout. The tranquil master retreat offers his/her baths, & closets, honey onyx finishes & laundry. The bottom level opens to an expansive foyer & 4 richly appointed guest suites, a large morning kitchen & laundry room. There are two huge garages w/space for at least 4 cars, an elevator, state of the art media & security technology, relaxing pool & spa, front & back verandahs, lovely office & more. Automated screens on the upstairs verandah allow for outdoor entertaining day or night. You will fall in love with the look & the dream of this home. It will be hard to top! Become the next owner of the most beautiful home in the sanctuary. An architectural masterpiece which elicits all that is refined island living, resting on 2 lots, within the islands' premiere location, the sanctuary. Upon approach you are greeted by an exquisite stone drive along with an elaborate slate facade and exceptional architectural details encompassing the property. Grand mahogany doors open to reveal a wall of mitered glass punctuated by a bronze fountain with a sprawling and private pool area beyond. The spacious great room welcomes you with exceptional details from the ashlar marble flooring to the custom cabinetry and built-ins along with an expertly designed kitchen. Walls of glass disappear and open to an outdoor kitchen and lounge area unmatched by any other in the area. The master suite is private and spans the both the east and west side of the home offering a wonderful retreat. Above the loft, office and billiard area display floor to ceiling woodwork of outstanding craftsmanship. All guest suites are located on the opposite side of the residence and they too offer refined comforts. 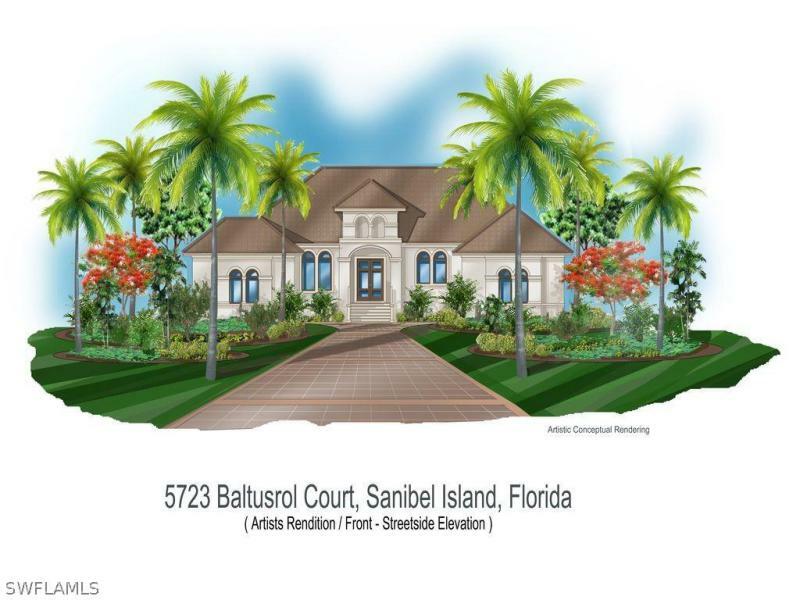 Stunning newer mediterranean style sanibel island residence. Situated within steps of the gulf of mexico this gorgeous 4 bdrm 5. 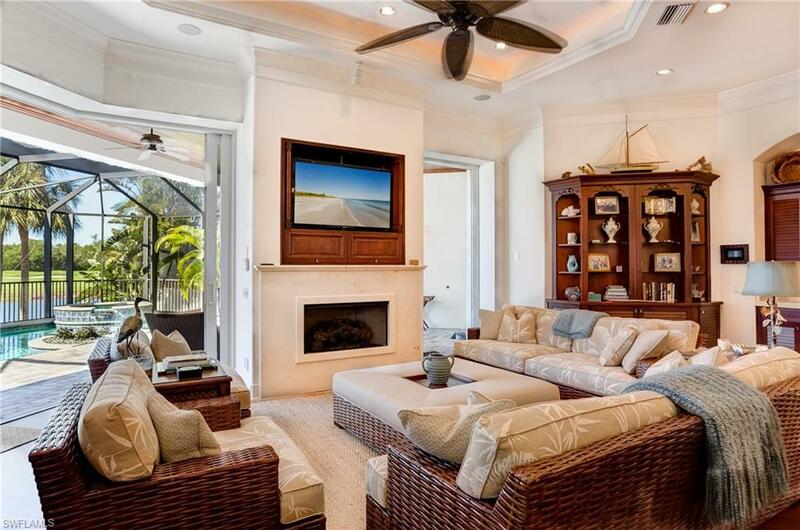 5 bath home offers spectacular water & golf course views as well. Beautiful finishes include all stone flooring, private elevator, gourmet kitchen w/viking appliances. Awesome spacious floor plan up to wonderful pool & spa area. Terrific for entertaining or spoiling oneself in casual sophistication.